And Sara has not even made her debut yet! 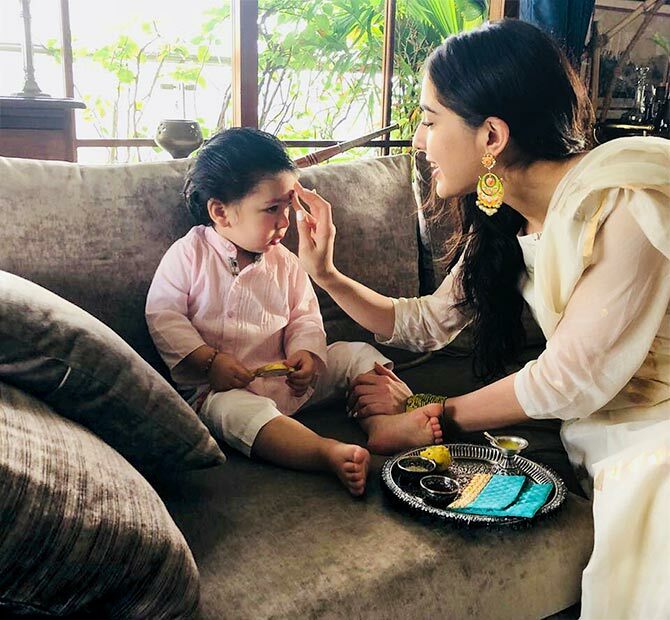 Not since Shah Rukh Khan has Bollywood produced an actor so disarming and eloquent as Sara Ali Khan. Fine, fine, we have got a little carried away. So the jury's still out on Sara's acting abilities. 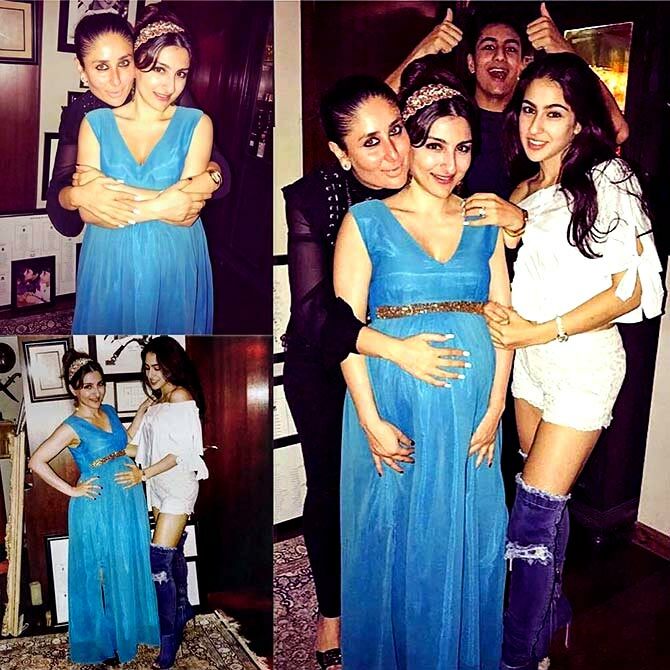 Off screen though, Amrita Singh and Saif Ali Khan's first born is simply irresistible. 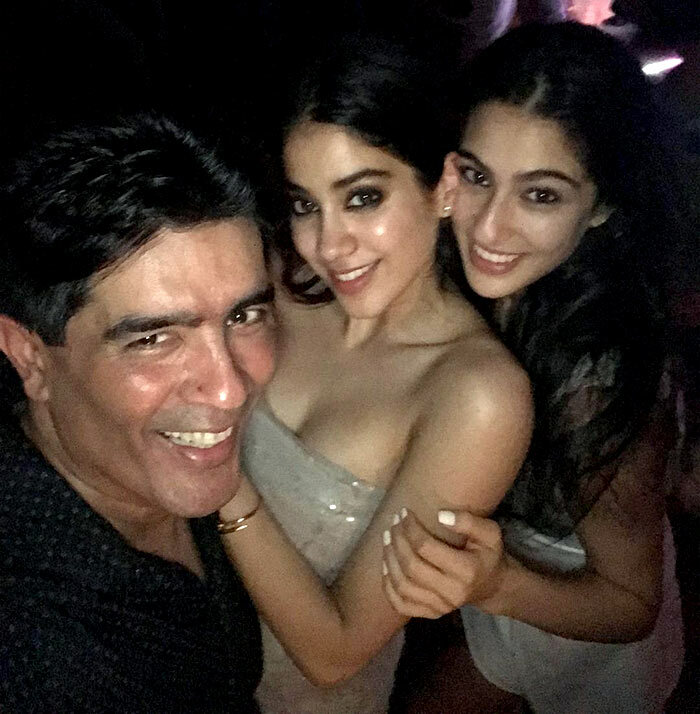 Ever since she made debut with her dad on Karan Johar's breezy chat show, everybody's going gaga about how coolly she fielded the questions on subjects ranging from how to address his father's second wife Kareena Kapoor Khan to the nepotism sword hanging over her head. The 23-year-old Columbia University alumna is smart, sorted, fun, dignified, sophisticated and speaks from the heart. It doesn't hurt that she is pretty too. 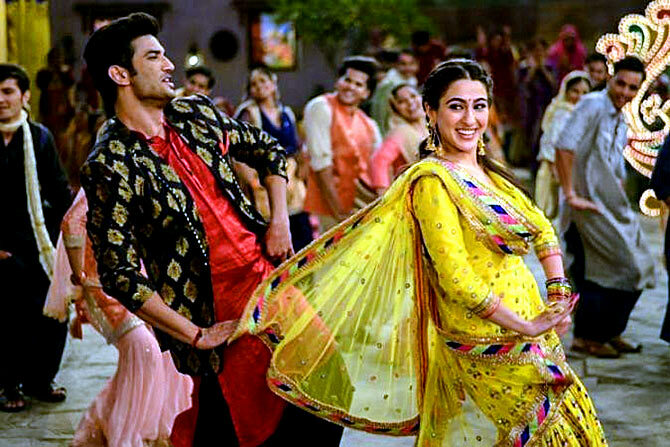 As we wait to be dazzled by her work in the upcoming releases Kedarnath and Simmba, Sukanya Verma looks at the 10 times Sara Ali Khan bowled us over. Did you know Sara's mum dressed her for her dad's second marriage? That should tell you how civil things are between DingyBaba and Saifu. 'Sometimes it's important to respect what other people want. I see my father today. I see my mother today. And they are much happier than I think they would have been together. Therefore, everyone around them is happier. What I have now is two very comfortable homes as opposed to one comfortable home. I really, really think I win,' explains the youngster whose parents divorced when she was 9. 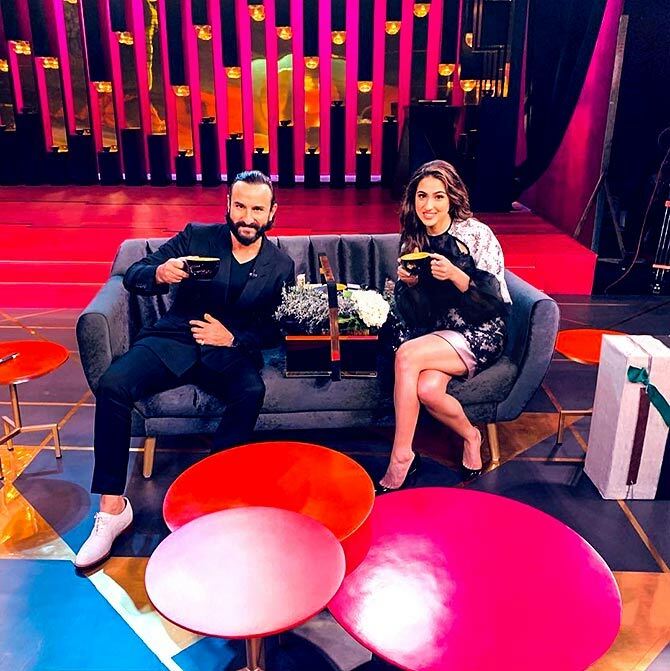 Anybody who caught her on Koffee With Karan will vouch for Sara's soaring confidence in all those homemade videos of her hysterical rona dhona or animatedly shaking to Yeh Vada Raha's Tu Tu Hai Wohi. Not to mention the incredible weight loss. Sara attributed it to her struggle with PCOD (Polycystic Ovarian Disorder). Most stars act pricey around paparazzi or attention, but Sara is more than happy to accommodate photographers and fans for poses and selfies. Once she even got out of her car to specially snap a picture with an eager admirer. Dainty salwars and colorful dupattas teamed with glass bangles, Sara's easy breezy off duty style is like a breath of fresh air in a crowd of head-to-toe styled looks. Whether she is waxing eloquent nineteen to the dozen, imitating a parrot during a interview to confirm her weird claims or dancing to Saat Samundar at a family friend's wedding sangeet that quickly became a viral video, Sara's joie de vivre is infectious like how. While the world has made it their business to compare the two star daughters, the girls themselves have nothing except the warmest wishes for each other. In fact, Sara and Janhvi are the first to forward those silly comparison collages and get a good laugh out of it. 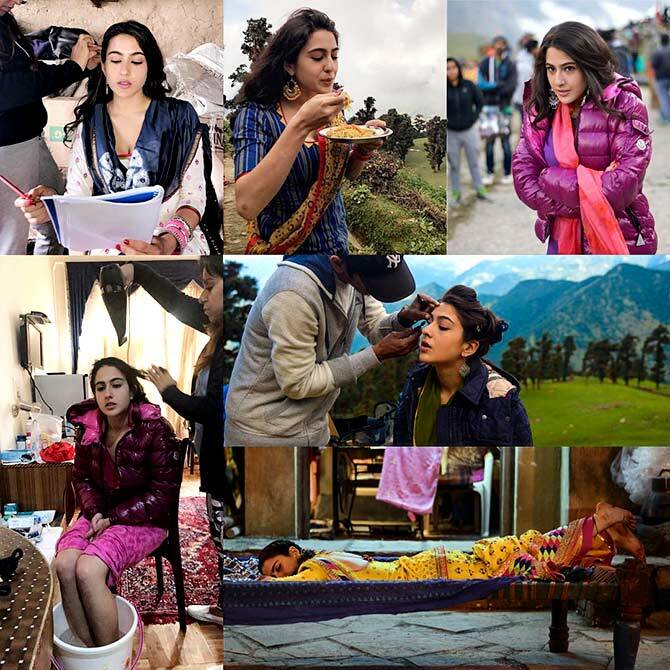 Whatever one may feel about Kedarnath's trailer, the sheer freshness Sara exudes in her launchpad is surely worth the price of admission. Blessed with daddy's eloquence and mommy's chutzpah, Sara is an interviewer';s dream comes true. Killer, ain't it? Wins us over every single time.